Under 14 Boys won the Red Rose Lancashire Badminton final on Friday night beating Hodgson High School Blackpool 6-1. More fantastic achievement for St Bede’s sport! The under 14 girls are the Lancashire Champions for Badminton. The boys under 14 were runners up in a very close final at the Centre Parcs National Badminton Championships. This confirms St Bede’s as one of the strongest schools for Badminton in the region. Congratulations to all the players involved! On Saturday 9th November 2013, St Bede’s hosted the annual Lancashire Schools Table Tennis Championships. Catering for age groups from under 11 to under 19 it proved to be a busy day. Organised by PE teacher and table tennis coach, David Pilkington the event brought the cream of the county to Blackburn. The busiest categories proved to be the Boys U16 and the Boys U13 and they also proved to be the most fiercely contested. 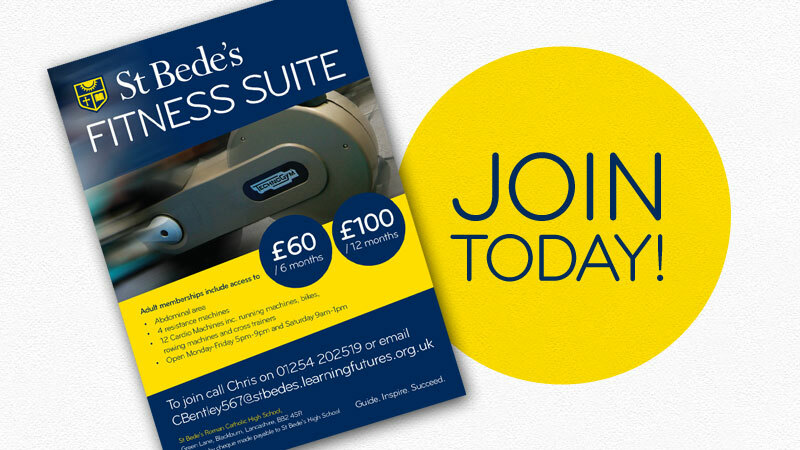 The Fitness Suite at St Bede's is now open for anyone in the local community to join! Adult memberships are available from £60 per 6 months, or £100 per 12 months, and include access to a wide range of fitness equipment and facilities.